The food in Hawaii was delicious. I was expected a lot of fresh seafood but didn't expect some great culinary experiences & unforgettable dishes. 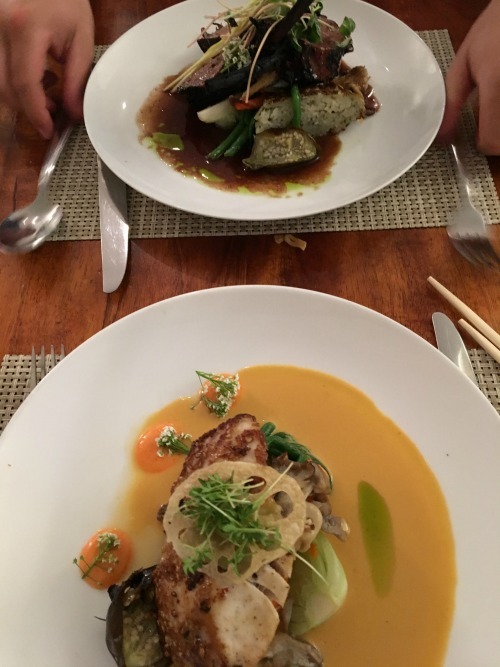 After healthy eating for a year in advance of the wedding, I made up for it in Hawaii on our honeymoon. 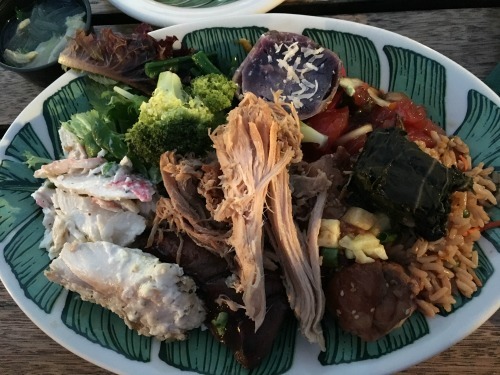 :) Here are the top foods you must eat when visiting Hawaii! 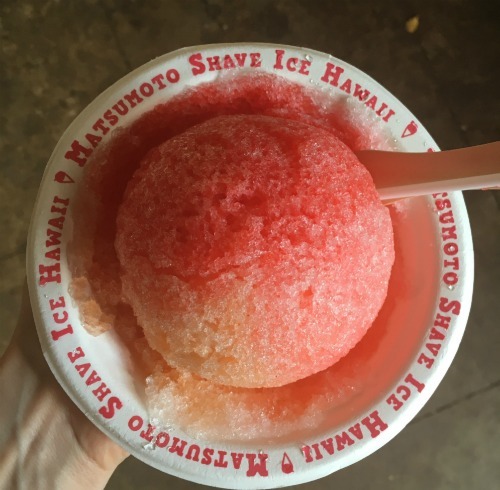 Another dish Hawaii is known for, we sadly (and surprisingly) only had shave ice once but it was from the famed Matsumoto's on the North Shore of Oahu. The line was long but moved quickly and it was fun to watch them create each shave ice. For my shave ice flavors, I chose watermelon, peach and lychee. So sweet & refreshing. Along the same line, Hawaii is also known for ice popsicles (i.e. OnoPops in Kauai & Shaka Pops in Maui - sadly didn't try either). 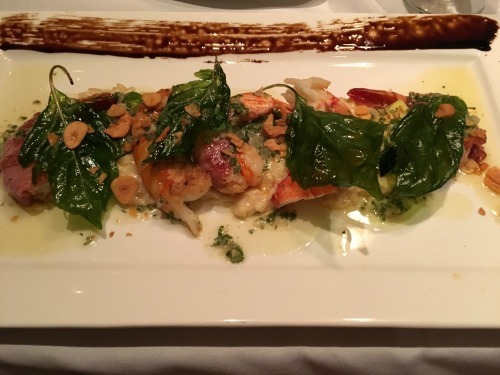 Shrimp is so delicious in Hawaii and bonus points for trying Kahuku shrimp, which is found on the east coast of Oahu. 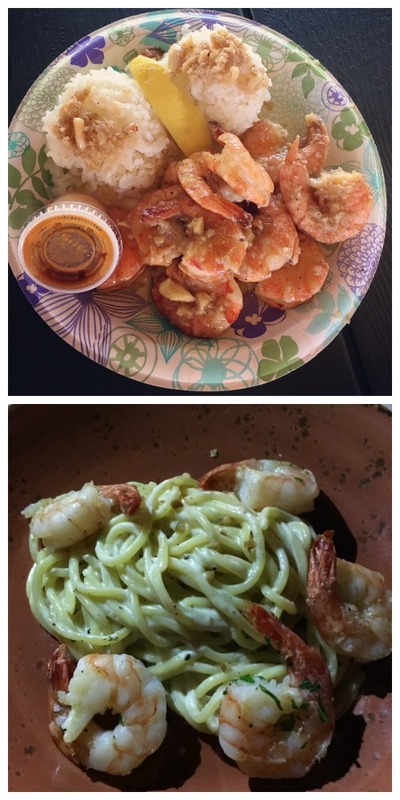 Below from top: Giovanni's garlic peel & eat shrimp in Oahu; Ferraro's pesto pasta with shrimp in Maui; the bottom is shrimp orzo "mac & cheese" at Roy's Waikiki in Honolulu. There are tons of ramen places on each island and we got it twice. 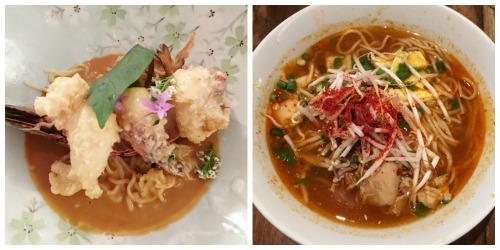 Below left to right is: Jo2's lobster ramen in Kauai and Star Noodle's kimchee ramen in Maui. Cue food coma(!) and despite the fact that they were serving a lot of people, the food was fresh, cooked well and hot. Loco moco is a very odd dish and doesn't look too appetizing but it is delicious (and a perfect hangover food, lol). 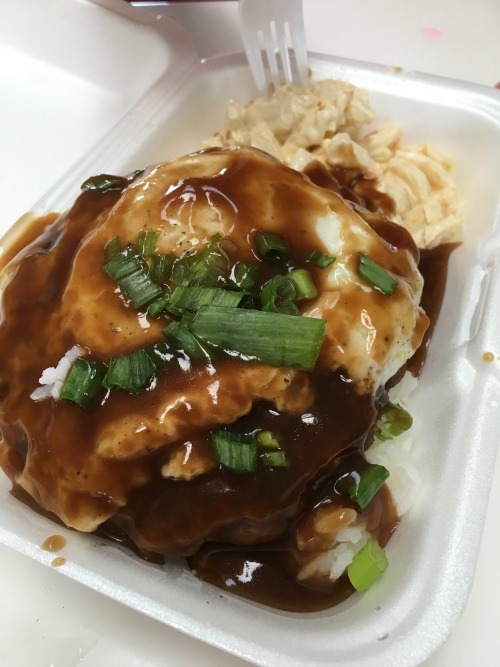 There are many variations but the traditional recipe is a base of white rice topped with a hamburger patty, fried egg, and gravy. You gotta try it to believe it! 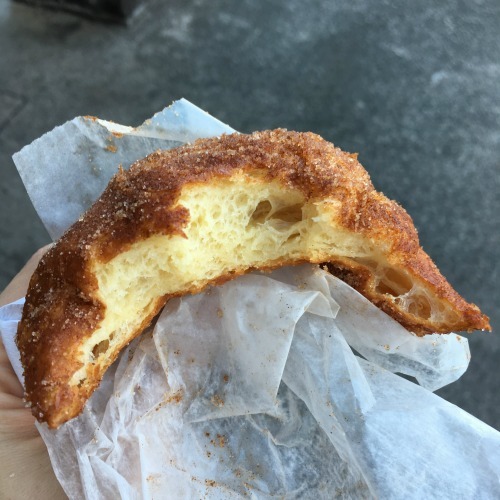 These Portuguese-style donuts are best known from Leonard's Bakery just outside downtown Honolulu. We stoped there on our way up to the North Shore. They were piping hot, crispy on outside, soft on inside and covered with cinnamon & sugar. In a word, "yum". 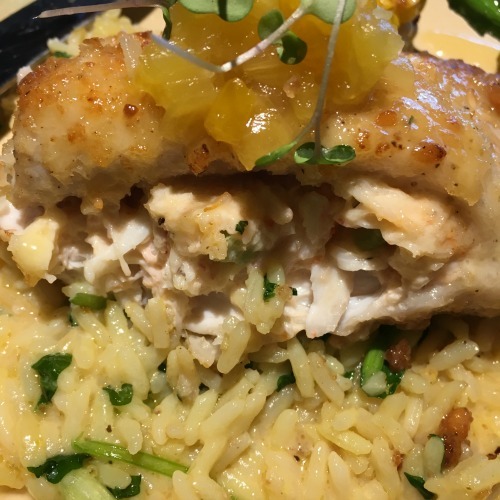 Macadamian nut crusted mahi mahi stuffed with crab, topped with a pineapple white wine sauce (omg my mouth is watering - this was one of my fave dishes the whole trip) at Mama's Fish House in Maui. I sadly don't remember what these dishes were exactly, but I got fish and hubby got steak and both were really good. The presentation at Jo2 in Kauai was beautiful. 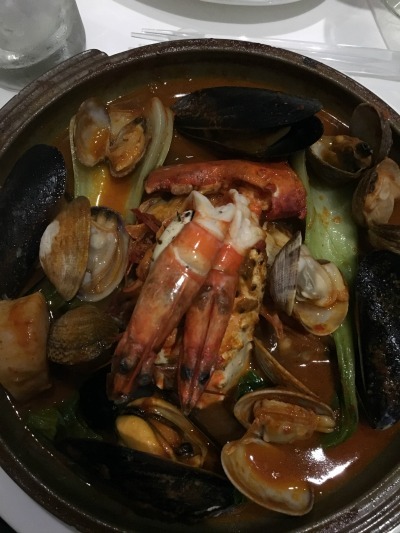 I always order seafood stews when on the menu, it's my go-to...dipping bread in tomato broth, yes please! I saw this saffron seafood stew on the menu at Morimoto's in Honolulu (which is sadly closed now) and had to get it. The flavor was unreal; worth every penny. 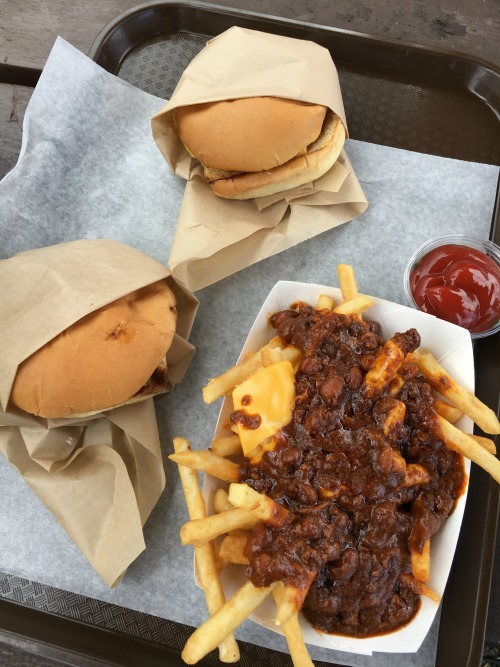 Bubba Burgers in Kauai with chili fries. Yes, please, now. 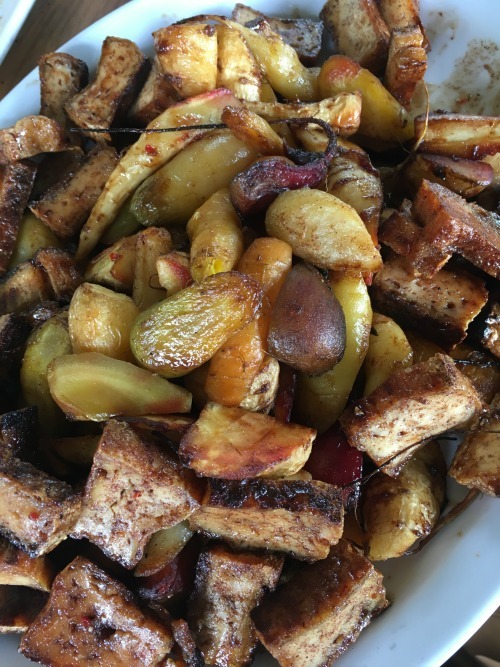 This dish was one of many on our O'o Farm tour & farm-to-table lunch in Maui but it was my favorite: roasted root vegetables from the farm with tofu. 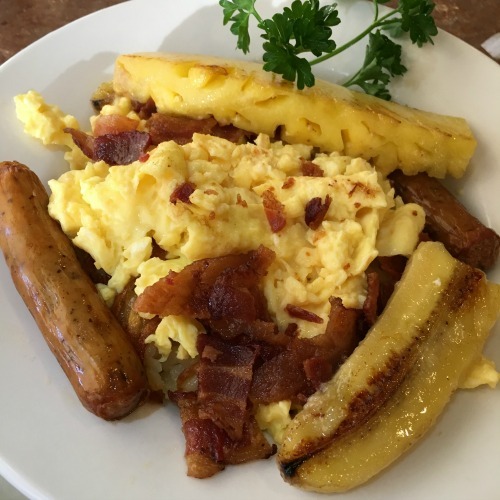 First: file this tropical breakfast bowl we had in Honolulu also under a dish like loco moco that you gotta try it to believe it: a strangely perfect, sweet & salty combo of hashbrowns, scrambled eggs, bacon bits, and sweet sausage with a drizzle of coconut syrup and topped with grilled pineapple & banana. 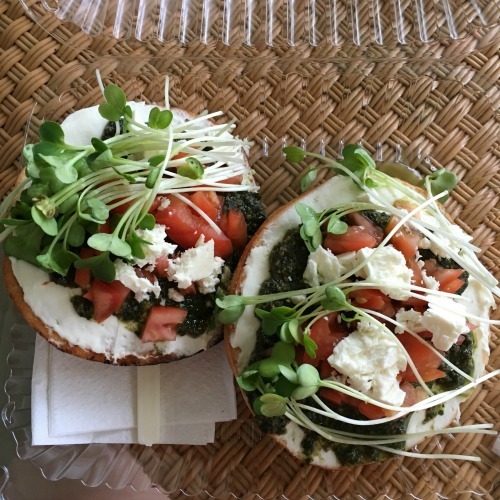 Second: Java Kai, a super cute coffee shop in Kauai, has a breakfast bagel with cream cheese, home made pesto, tomatoes & sprouts. Really good, fresh combination. Third: Maybe I was just starving from being up at 2am for the Mt. 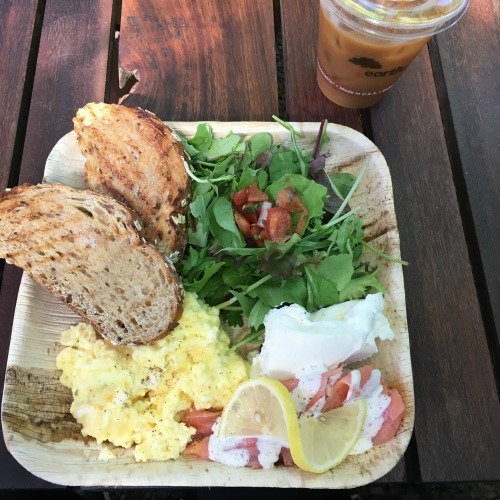 Haleakala sunrise, but this breakfast from Paia Bay Coffee was so delicious: scrambled eggs with salmon lox, cream cheese, mixed greens and extra toasty bread. Not pictured, an amazing hot sauce that I topped it all off with. Highly recommend going to this place in general - it's all open with seating amongst trees, so adorable. Check out our full Hawaii honeymoon to Oahu/Honolulu, Kauai and Maui via these links. If you want any suggestions on those 3 islands, comment below!